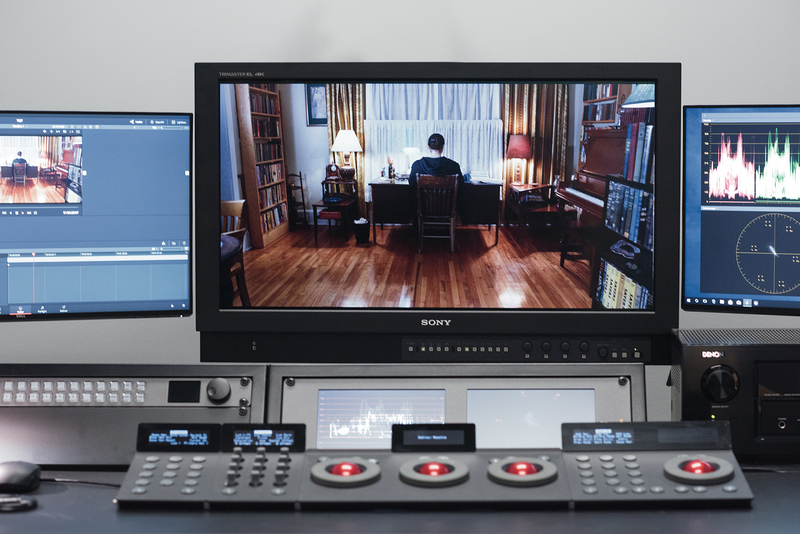 The 4K colour grading suite features one of the most advanced colour-accurate monitors in the world. Sony BVM-X300 4K OLED Master Monitor - Sony’s flagship model in their professional monitor line-up. 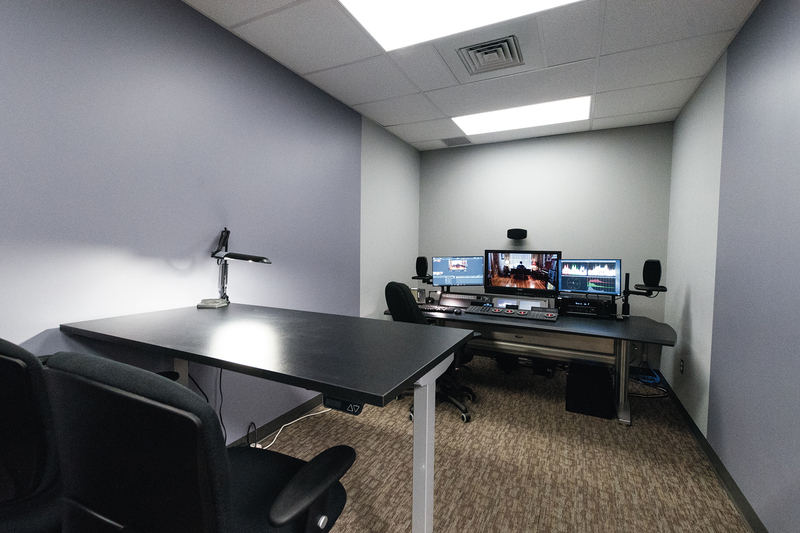 Ideal for colour grading and quality control. This high performance TRIMASTER EL™ OLED monitor includes unparalleled black performance, colour reproduction, quick pixel response, and industry-leading wide viewing angles. The BVM-X300 has enhanced interface and features for High Dynamic Range (HDR) live production. A wide colour gamut conforming to DCI-P3 and most of the ITU-R BT.2020 standard. 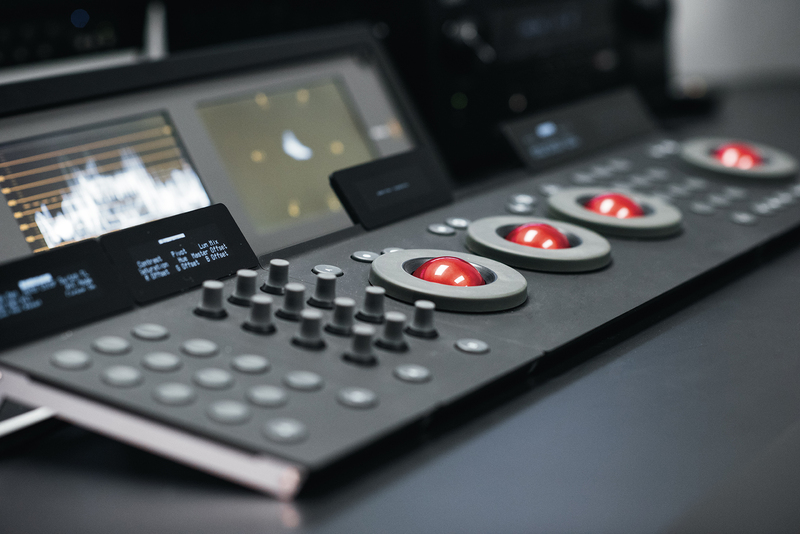 Resolve Colour Grade Computer - A specially-configured computer designed to handle 4K workflows. The image from the computer can be played on the Sony BVM-X300 4K OLED Master Monitor or patched directly into the Christie True 4K Digital Cinema Projector. Tangent Element TK, MF, KB & BT Panels - The Tangent editing panel is an intuitive control surface for DaVinci Resolve. The compact unit features custom tracker balls that use non-contacting optical pickups and easy-to-read cool-blue OLED displays. Numerous control interfaces include control knobs, label buttons, function buttons, master dials, and transport controls. DaVinci Resolve 14 - Originally designed for Hollywood’s elite colorists, and the world’s fastest growing and most advanced editing software, DaVinci Resolve has been used on more feature films and TV shows than anything else because it lets users create images that are simply impossible with other tools.